Impeccable in every detail, these sophisticated awards are finely crafted in flawless optical crystal to create a truly memorable trophy. 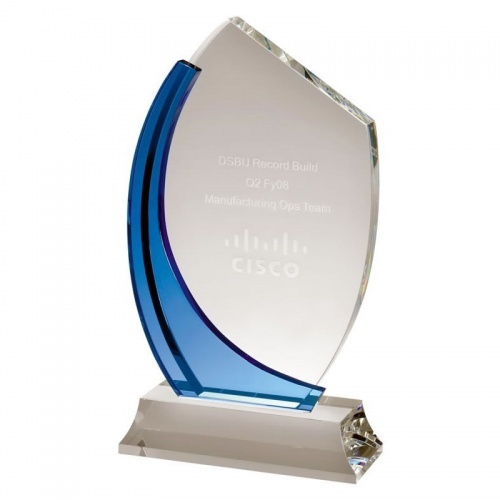 They feature a clear glass plaque in irregular shape, complemented by a curved blue glass column and mounted on a clear glass base. Available in two size options, they are offered with low, fixed cost text engraving of both the clear glass plaque and/or the base. These awards are supplied presentation boxed.